wants to see more money spent on Main St. than shipped off to Wall St? really cares about issues of peace, healthcare, justice, and the environment? 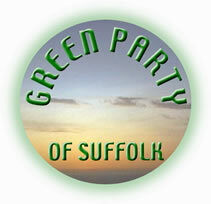 is or wants to be a Green Party member? you would be willing to vote FOR, instead of just voting AGAINST? Then you are or know someone who should run as a GREEN PARTY Candidate in Village, State or Congressional elections in 2014. Can you help us find candidates who favor justice over inequality, clean energy over pollution, and public good over political wheeling-and-dealing? Our Suffolk County Campaign Committee works on races within the County, and might be a great way for you to get involved! The time to get candidates lined up is NOW! Petitioning to get on the ballot for the fall starts in March, and we’d like to see as many willing and able candidates as possible. Running as a GREEN forces corporate politicians and corporate media to discuss issues they generally ignore and helps enroll GREEN PARTY members. If you would like to run as a Green, please E-MAIL FLY1632@AOL.COM ASAP!